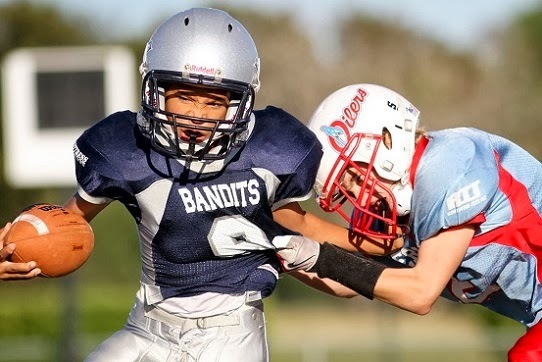 In light of the recent concerns for head injuries in connection with playing football, many parents are starting to reconsider allowing their sons to play full-contact versions of the sport at a young age. Although the proof is clear that injuries that can occur during childhood may hinder a child's development, I, for one, will not be a parent that prevents their son from playing. If I have a child that wants to participate in football, I will not try and discourage him from it. I will let him know what could happen. He will be well-aware that he can be injured playing, and if he still decides he wants to pursue it, he will have my complete support. Now, before everyone looks at this and says it's bad parenting allowing my child to risk his future well-being to play a sport, take a minute to look at it beyond the possibility of injury standpoint. If you have a child who has potential to be successful in football and you hold him back, that child will always sit and wonder what if? He will always question what might have been if his parents had allowed him to play. For all any parent knows, their child could be the next big star in the NFL. How many parents of Hall of Fame players or even current professional stars can honestly say that they knew their son would be as good as they eventually became from the first time they put their pads on? Keeping a child off the field at a young age could deprive him of a chance to learn several lessons that can be applicable as they become adults. How to socialize, the importance of teamwork, succeeding through adversity, as well as leadership are just some of the things a boy could learn from playing football early on in life. Not to mention, no matter how big or small a child is, playing football will both motivate and teach them about the importance of being in top physical shape at a young age. Playing football can even motivate kids to want to succeed in school. It may take a while to set in, but as time passes by and they start high school and eventually begin the process of selecting colleges, the realization and understanding that getting certain grades will enhance their chances of playing football at certain places will help to encourage them to be the best they can be both on and off the field. It also can be a tool that parents can use to make sure their son is on top of his schoolwork. As parents, a major concern is always the financial side of getting a child through college. However, if a young man excels on the football field, you can bet multiple schools will be offering scholarships; some full. And even if they may not attend a university on a scholarship right off the bat, they can always walk-on to a team, and if they work hard enough, potentially earn some form of scholarship later down the line. Lastly, in the harshest reality of life, your child can be hurt doing the simplest of things. Anything can happen to anyone at any given time. With that said, why deprive a child of something they enjoy and can potentially be really good at over a possibility? In some neighborhoods, boys may not be expected to make it past their 18th birthday without being arrested or killed, so why not provide a distraction from all the negativity they may be surrounded by? As a child who was deprived of a chance to play football due to the possibility of severe injury, I would never deprive my child of the opportunity. 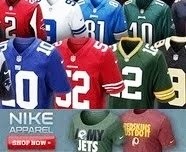 Practically every other sport out there presents the possibility of injury as well, so why say no to football alone? Why treat football like it's the most dangerous thing in the world? One of the most unfortunate things in life is to wonder what if? I don't want to be the reason my child has to toss that question around. Not everyone will see things the way I do as it relates to this particular subject, but if I have a son or sons who want to play football, I will be their biggest supporter. Fear of a possibility should never stop anyone from their pursuit of happiness. Even if it's just a game.